How to log on Remote Desktop via kontor.hioa.no to access to your desktop and files from outside campus. Guides for Windows and macOS. The computer must be connected to Internet. Note! Use the browser Internet Explorer for the best functionality. The browsers Firefox, Chrome and Opera works as well. See the screenshot below for login. After login you can start the various applications. You can access your desktop with files. Click the icon for "Eksternt Skrivebord". A login window for Eksternt Skrivebord (in Firefox) appears. Username: username@oslomet.no (entered in advance once you are logged in). Password: Enter OsloMet password (the empty field). Eksternt Skrivebord/Remote desktop shows your desktop with all your folders and files. You can work as normal from your desktop. Windows Start menu: Click on the icon to the left. You now have access to your home and public directory and Office applications. See the screenshot below for an example of Remote Desktop / Eksternt Skrivebord. 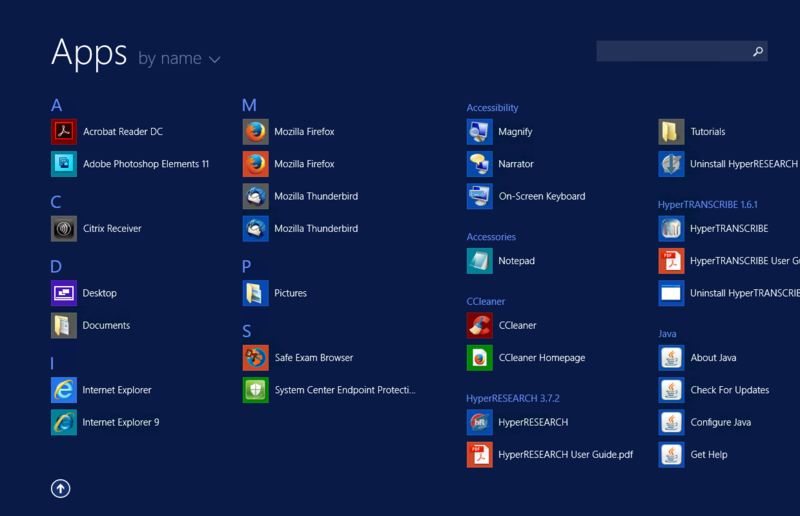 The Start menu provides access to various functions. Your open applications / windows remain open so you can log in and get them back up. Or click on Disconnect under the ON / OFF button. If you want to exit / log off, see the next section below. Click on your name to display the menu to log off / shut down. Click on an icon to start an application, e.g. PowerPoint. Click: OK - to open an application. Click: Connect - to run the program. Click on the yellow folder with the text "Up" to return to main page. See the highlighted folder with the text "Up" in the screenshot below. Click on the folder "Statistics" to use the available statistical programs. Click on the icon to open a program. Follow the same procedure as in step 4. See the yellow folder with the text "Up" in the screenshot below. The Microsoft Remote Desktop application must be installed in advance. For a private Mac: Download Microsoft Remote Desktop. Log in using your OsloMet email address: username@oslomet.no and your password. Select the application you want to use. You can access a number of other applications via Remote Desktop connection. Start the desired application from the list. Click the icon for Windows on the left bottom corner. This opens the Start menu, see the screenshot below. Select the arrow at the bottom of the screen - to access all applications. All applications that are accessible via Remote Desktop for Mac, see the screenshot below. To return one or more steps or navigate in Windows Explorer, you can navigate in the menu. See the screenshot below. Select Desktop or Computer - to access the desktop environment. Select: File Explorer - to access your files and folders in your home directory. The menu - as seen on screen. 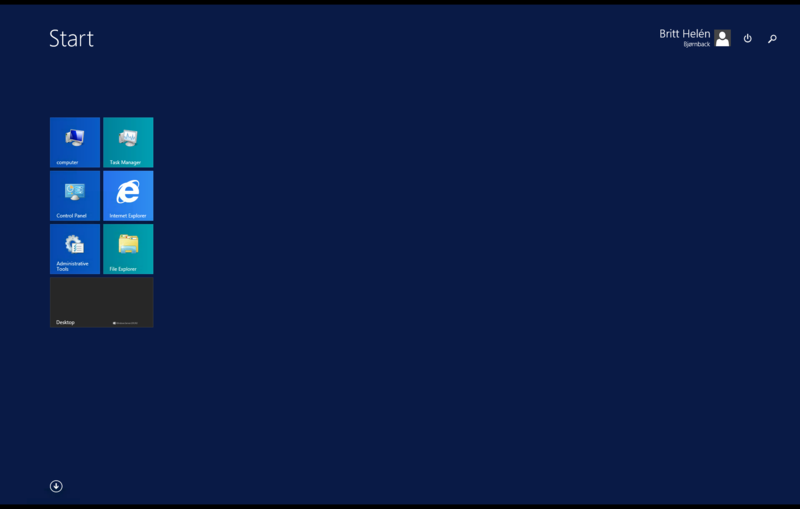 Go to the Windows menu: Select the icon for Windows or the Start menu at the bottom left to get the screen below. 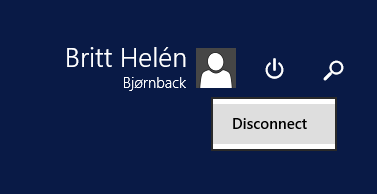 Disconnect: The icon to turn off / Disconnect is to the right of your name. See screenshot below.